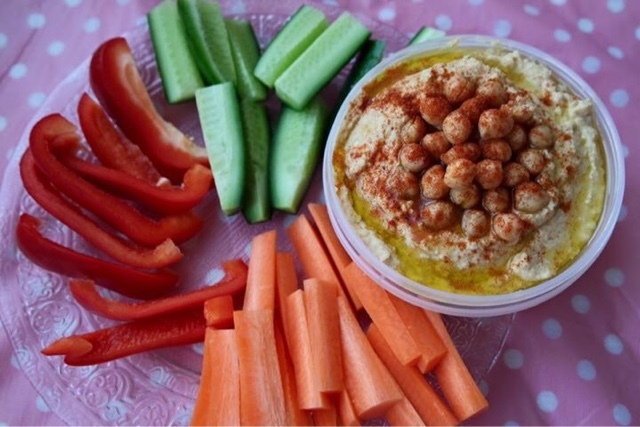 Dipping vegetables in Hummus with some fiery Tabasco has to be my favourite snack EVER, a healthier alternative to the absurd consumption of chocolate which my roommate and I find ourselves consuming far too often. Our New Year's Resolution? TO DO US. Eat healthy, be good to ourselves and locater ourselves and others. 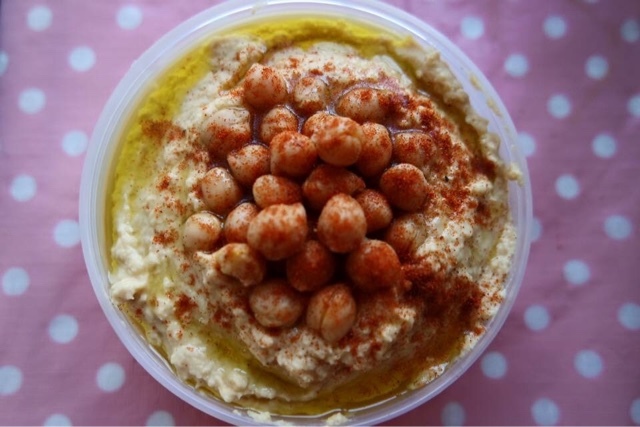 So now that the hundreds of duty-free cadbury's chocolates are officially hidden, we decided to give Hummus a go. 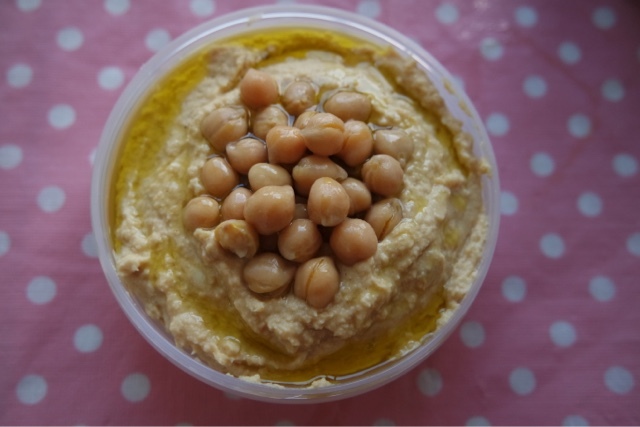 Living in Israel, hummus and falafel are a regular favourite of mine, the hummus in the middle-east is honestly incredible and because I don't eat bread due to my gluten-free lifestyle, falafels are a wonderful accompaniment and delicious alternative to the forbidden fruit: fluffy pitta bread. Due to a devastating terrorist attack yesterday here in Tel Aviv (RIP), my roommate and I stayed indoors and decided to distract and cheer ourselves up my being creative in the kitchen. Cooking is a real release for me, it allows you to be creative and I find it therapeutic. 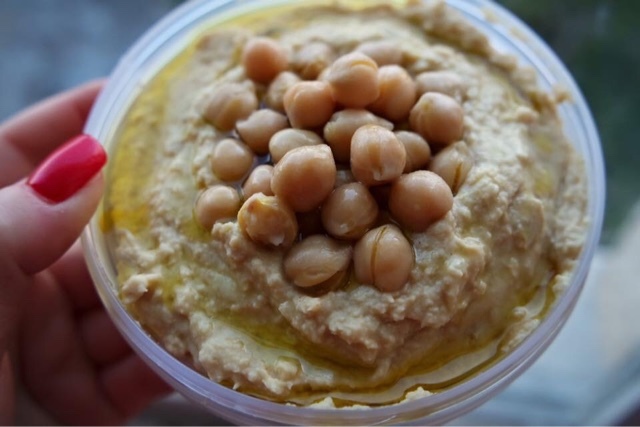 Our Hummus turned out to be SO DELICIOUS! 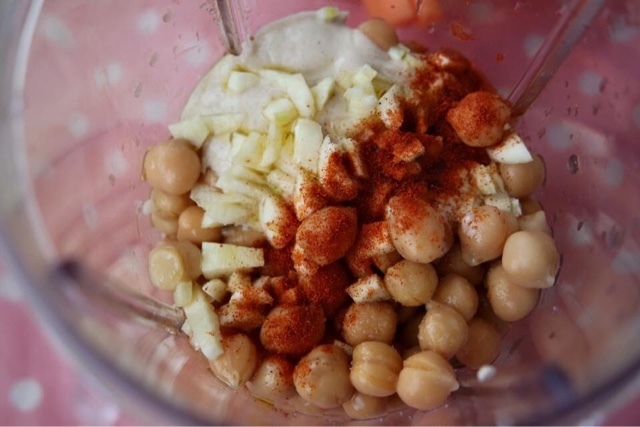 Far better than the shop bought stuff, except due to our love for garlic, we may have used a little too much, so I give you a revised recipe below with less garlic. By all means if you don't care add more, but poor little Sally had a date yesterday...LOL! 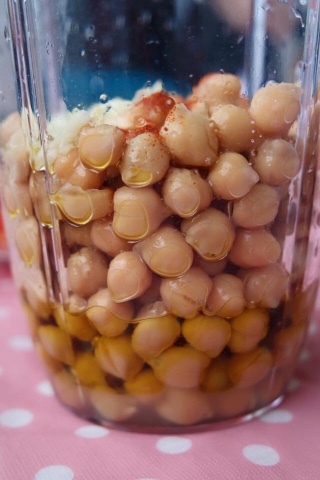 So Dolls, Check out my recipe below and ENJOY! 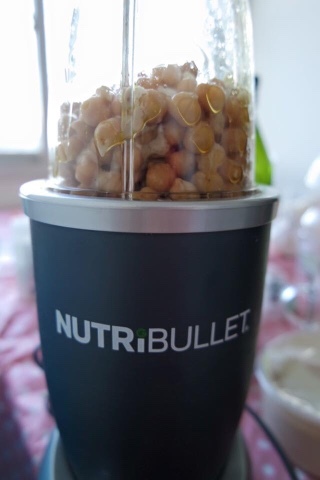 Pour the chickpeas into the blending cup. EASY PEASY LEMON SQUEEZY RIGHT? Now it's time to dip, scoop and ENJOY! If you like spice eat with Tabasco. TOTAL LOVE!